That is what we are told after seeing Harry Potter and the Cursed Child live at the Palace Theatre in London. That makes it hard to do a review, but the good news is that the script version has been out now for a couple of months, so I can actually write something more than "wow" - although initially that was all I could think of for about a week. So if you haven't read the script, haven't apparated to London and you don't want too many spoilers, this is my final warning. The play is held in two parts and it is better to see on the same day rather than consecutive evenings. There is so much excitement in the air when you arrive clutching those tickets and I was able to score amazing seats in the first row of the first balcony. They are said to be the best in the theatre, but only if you have short legs like me (sorry husband). 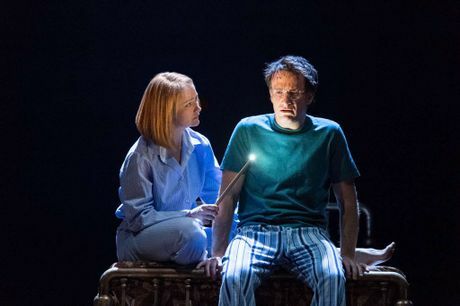 Part one picks up where the seventh book left off and is centred on an older Harry Potter who is an overworked employee of the Ministry of Magic and is struggling as a father of three school-age children. We rush through the first few years of middle child Albus's years at Hogwarts and while it feels a bit jarring, it is a nice way to get right into the action. Much has already been written about the plot, so I won't go into that. People either love or hate the script. But everyone who sees the play adores it. This is a telling sign. It means that while there are certainly issues, everything can be forgiven with amazing actors, a truly wonderful set and real-life magic before your eyes. This magic is the part I will #keepthesecrets because seeing is believing. The play's writer Jack Thorne agrees, commenting on Twitter: "I'd love people to see it, it's better seen than read - plays are like sheet music, meant to be sung and we've a cast and crew of pure Beyonce." 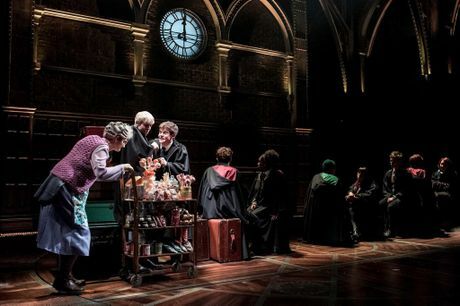 All the issues I've read - the reintroduction to time turners, issues with Harry's anger, a random character or lack of other characters - they don't actually seem to matter when you see it on stage. 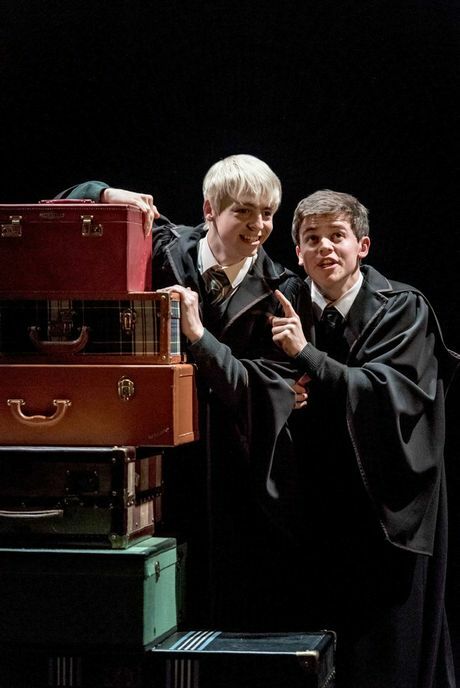 My favourite part of the play was Scorpius Malfoy and I just adored Anthony Boyle's portrayal of him. I have since read the script and this odd, yet warm-hearted, precious cinnamon roll just doesn't leap off the page as much. He really deserves a stage. Or Scorpius Malfoy, who struggles under the rumours of being the son of Voldemort. The third, a new character (I know I've already warned about spoilers, but I just have to keep this one) and the fourth of course is Harry. 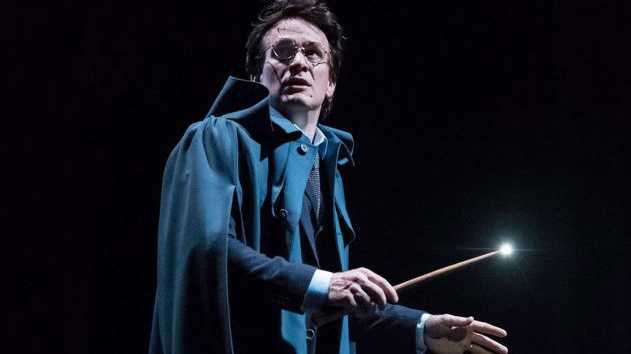 The play mostly centres around the younger generation, but we see many flashbacks from Harry's terrible childhood and a showdown with his own father/mentor Dumbledore's portrait. You gotta feel for Harry, he has really led a cursed life. To any Harry Potter fan, I am truly sorry that I cannot tell you the script is enough. You must plan a portkey to get to London ASAP or New York (which appears to be in the works for 2017) or wait even longer until (hopefully) it comes to Australia. Until then, I will keep the secrets. Tickets start about $50 to watch the two parts. For more information go to harrypottertheplay.com.